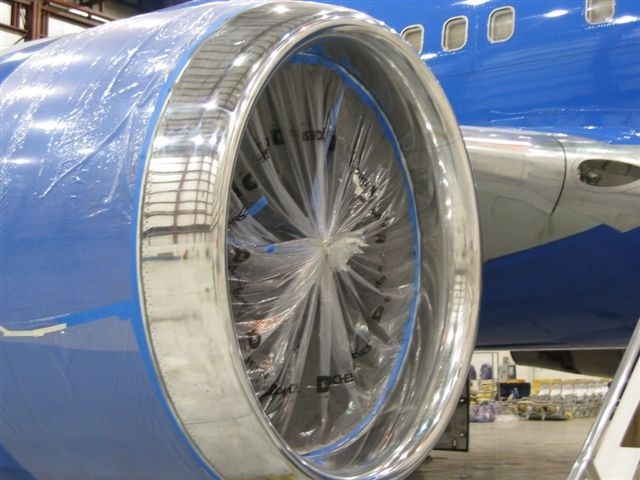 Specializing in supplying the Aviation Industry Since 1989. 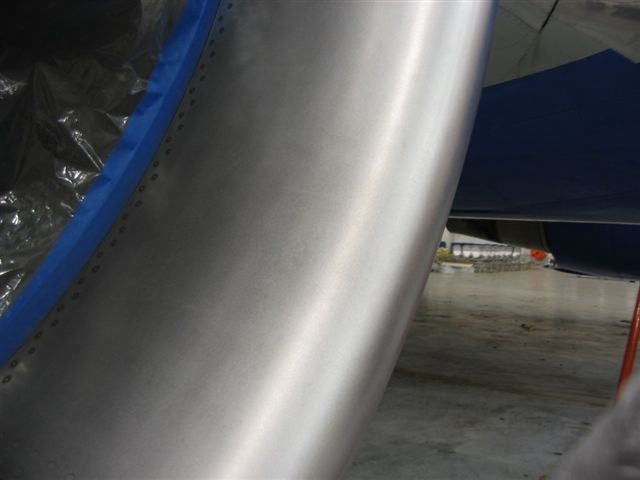 Although our main business is supplying the commercial aviation market, we get many requests from regular individuals wishing to restore various objects. 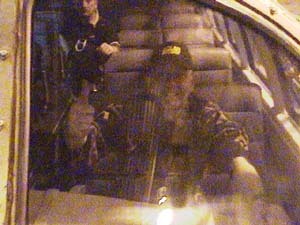 Below you will see a few of the many pictures we receive. 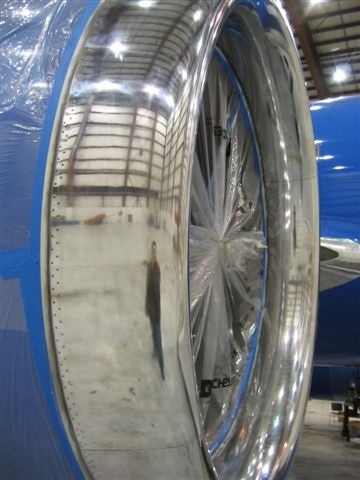 All the pictures on the page are examples of what can be accomplished using PROPER polishing products and techniques. There is nothing magical about the results other than they were achieved in the least amount of time with the best possible results. Some are taken by us, but most are pictures sent by satisfied customers. We hope you enjoy, after all, "A picture is worth a thousand words". Please Note: There are a fair number of pictures on this page , therefore, for those poor souls with only a regular phone line modem, it may take a while to load, (approximately 6 -8 minutes @56K) There are still some out there!. Please stick with us. I think you'll find it worth the wait. 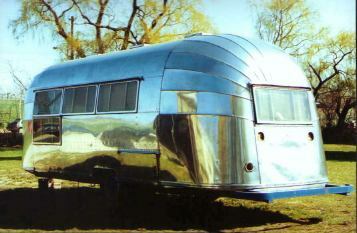 As pictured (& heard) on our home page, above is proof of what can be done when one wants to do it. On the left is a picture of "SWIFTY" the day Francois picked her up and brought her to her new home. That was in 1986. The pic to the right and below is how "SWIFTY" now looks. Remember "SWIFTY" is now in her late50's. (Francois is not quite as old, but almost as well preserved). Francois and "SWIFTY" are both pretty unique and they both have an extraordinary story to tell. Click here to link to that story. Check it out, it's well worth the trip. "SWIFTY" at play with David Smith's PITTS "S1"
Plexiglas® properly reconditioned with a SPEC Model "SA" "DRUM" type buffer. Shown below, is a series of pictures of a particular job that was (and continues to be) rather special. 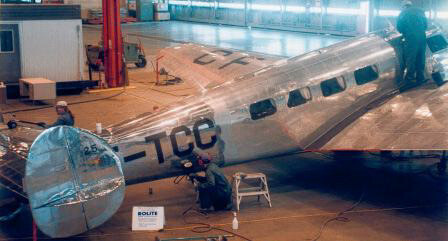 This Lockheed 10A "CF-TCC" belongs to Air Canada and has been lovingly restored to her original condition as when purchased from Lockheed by Trans Canada Airlines in 1939. 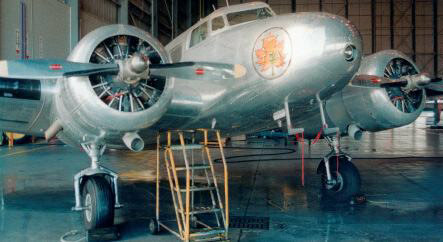 This particular aircraft originally belonged toTrans Canada Airlines, (now Air Canada) and is the first passenger carrying airplane in Canada. 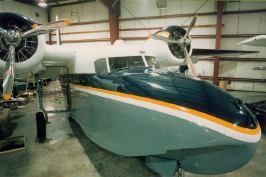 (This is the same model and only a few serial numbers away from the aircraft Amelia Earhart dissapeared in.) 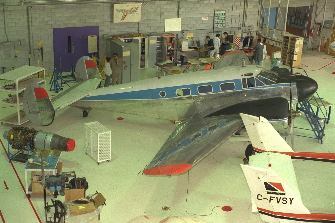 This aircraft is currently flown as a promotional tool, primarily in a program Air Canada runs, called "Dreams Take Flight". 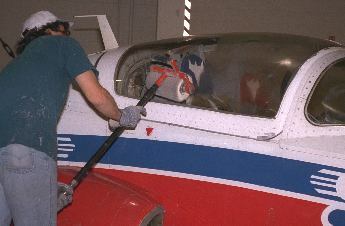 This program takes terminally ill children and their families, on an adventureous "Flight of a lifetime". 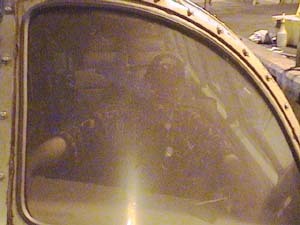 It is seen regularly at air shows across Canada & the United States. 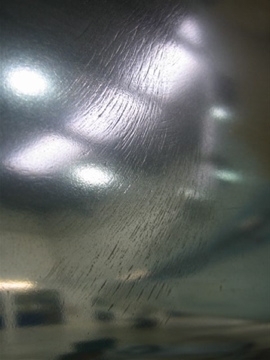 We were originally called in 1997 to see if we could help in the restoration of the exterior skin itself. 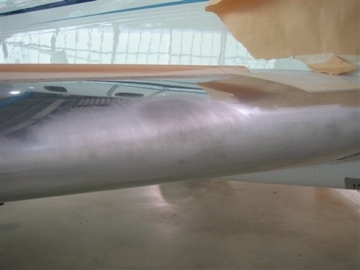 It is very important to note, the skin on this aircraft is ORIGINAL, (not only that, but it has been painted and stripped, on at least 4 separate occassions, according to the logs). 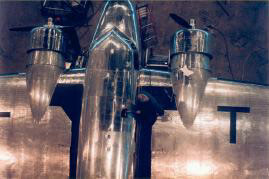 Many aircraft of this era, that have been restored to original condition, have been "re skinned" then polished, as part of the restoration process.This Lockheed 10A is a true testament to the products, methods & techniques we provide. 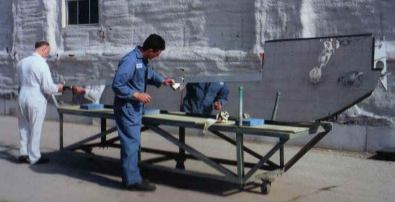 The work on maintaining the skin on this aircraft, is done annually, and is shared by California Custom Cleaning, (in Toronto, Ontario,) & Glo Wing Aircraft Detailing (in British Columbia) and AIR CANADA volunteers, depending on where Air Canada feels it is more convenient to have the aircraft done. Above: An excellent reflection & pretty good depth of image for a 60+ year old skin. 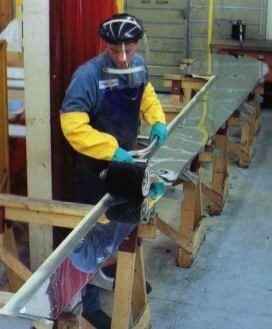 The above picture shows the "non destructive" polishing capabilities, on different materials, using "DRUM" type equipment, and proper polishes, & techniques. This "Trans Canada Airlines" symbol was "hand painted"on the nose. 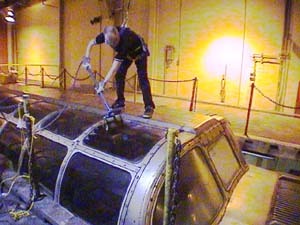 It did not have to be covered or taped off, during the polishing process. A beautiful "Queen" brings back an era past. 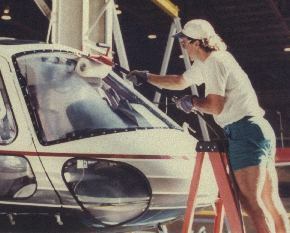 The AIR CANADA Lockheed 10A "CF-TCC" in the pictures above, has been polished by SKYWAVE Polishing & GLO WING Aircraft Detailing. 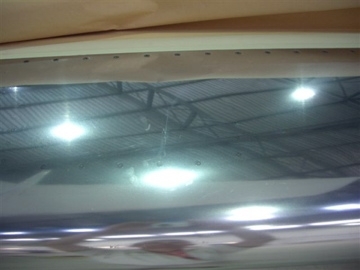 VIA Rail, Canada's passenger rail operator, discovers an efficient, inexpensive way to restore the Lexan windows of their Trans Continental "Observation" cars. 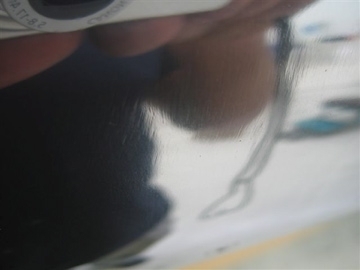 Work was done by SKYWAVE Polishing using SPEC Machines pneumatic "DRUM" type polishers and ROLITE GP266 "Pre-Polish, followed by ROLITE AP300 , and finished by ROLITE Polish / Sealant. These cars were built in the mid 50's. The windows in question are between 20 and 30 years old. The original glass windows were replaced by LEXAN panels between the mid 60's and late 70's. 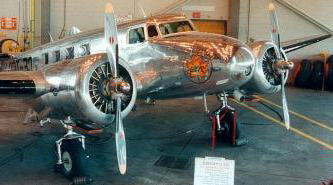 A vintage "Beech 18" belonging to the College Edouard Monpetit, an aircraft maintenance engineering college in Montreal. 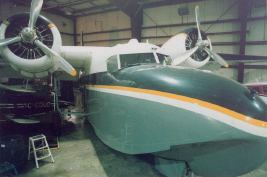 The 2 pics above are of a beautiful Grumman "GOOSE". 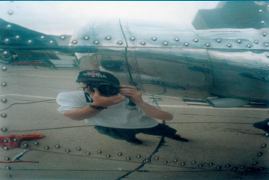 The owner was rather choosy about having someone grind away on his rather rare and expensive classic aircraft. He chose, (wisely I might add), California Custom Cleaning to do the job. I think the results are pretty self explaining. 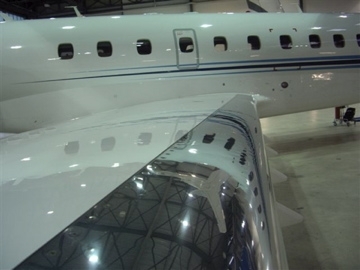 Courtesy SKYWAVE Polishing (formerly California Custom Cleaning) Note: the props as well. 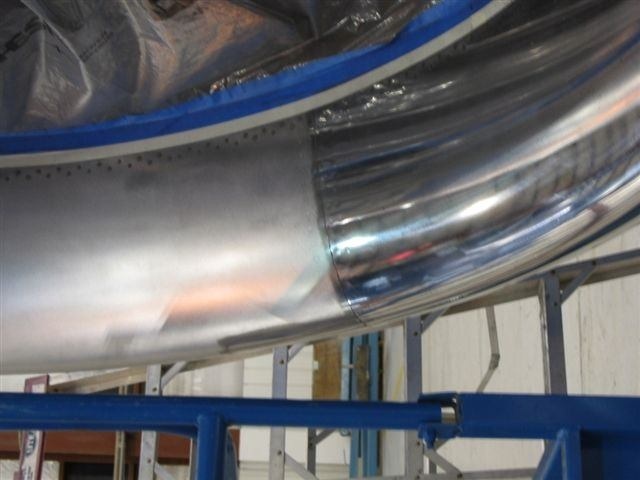 The following, are some interesting pictures from Mr. Bill Pidlynsy, who runs a sucessful contract polishing company out of Barrie, Ontario, Canada. 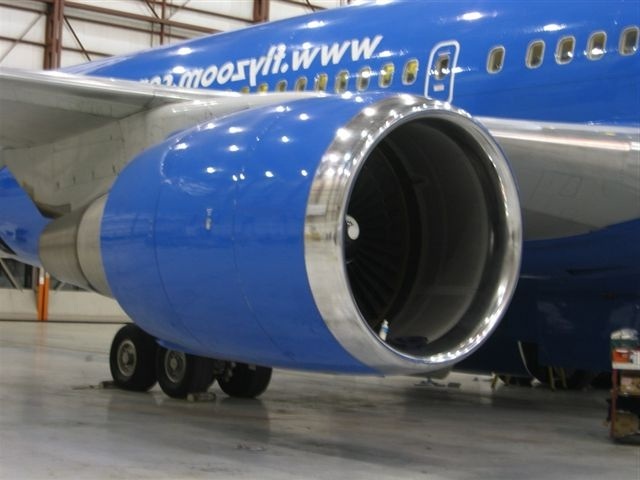 Bill spent many years at McDonnell Douglas Canada, polishing wing and fuselage assemblies. 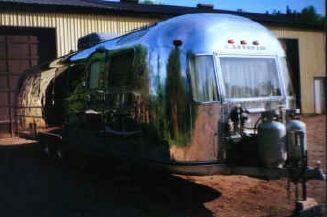 This is to say, he obviously has the proper qualifications for polishing things like Airstream® trailers and such. 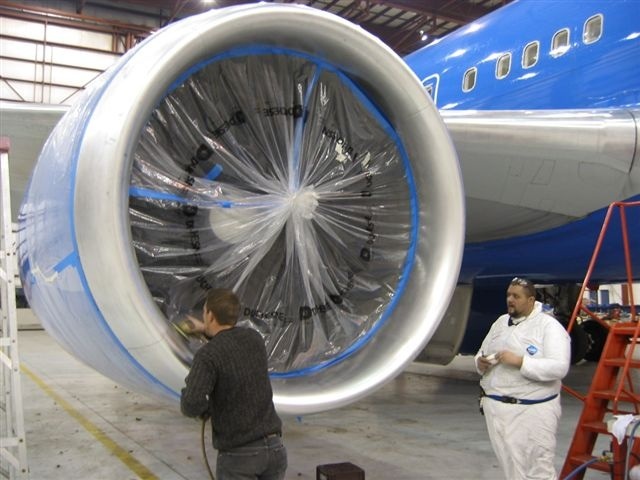 ABOVE: Work on some aircraft wing parts and using a large "DRUM" type pneumatic polisher. Compare the "BEFORE" with "ANODIZED" finish to the "AFTER" with ANODIZING removed and converted to a "POLISHED" finish. We experienced some interesting challenges. 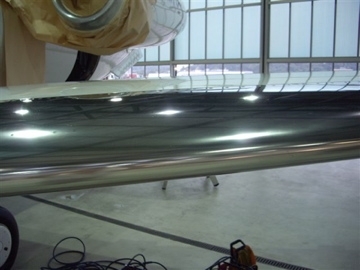 Firstly, the tank was polished from "raw un-polished" material. 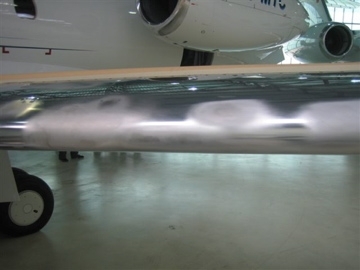 The material was a newly developed alloy by Alcan (France), called XTRAL 728, which, as we found, is an extremely "hard" aluminum alloy. 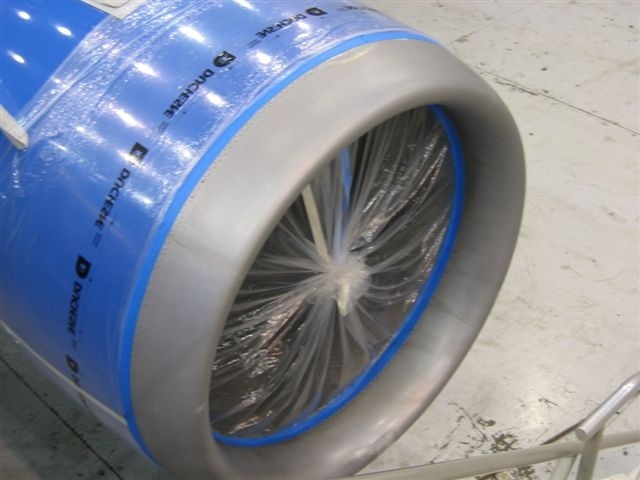 We also had a serious problem with surface corrosion, as the tank arrived from China, after spending 3 weeks on the deck of a cargo ship in the Indian Ocean. All that being said, the entire job was accomplished in 5 days with one SPEC Model "SA" DRUM polisher with 1 operator & one SPEC "DETAILER" (for corrosion removal), 5 lbs Matchless AV-20, 3lbs ROLITE AP300 & 1/2 gal ROLITE Polish Sealant (to wipe down), all while the tank was being assembled by about 30 workers and technicians. The results, I think, speak for themselves. 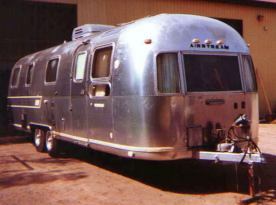 In fact, the Malaysian Road authorities wanted subsequent units to, "not be", as "reflective" as this unit, as they felt it would be a distraction on the road. As a note of interest, this is the largest tanker unit ever allowed on the roads of Malaysia. 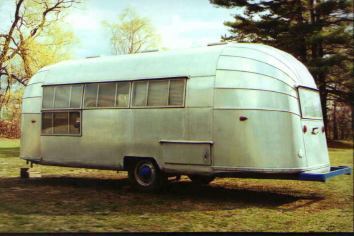 This unit was the prototype. ITG has subsequently received orders, for 20 more. SPEC "SA" with SH2X Extension handle on Bulkhead. 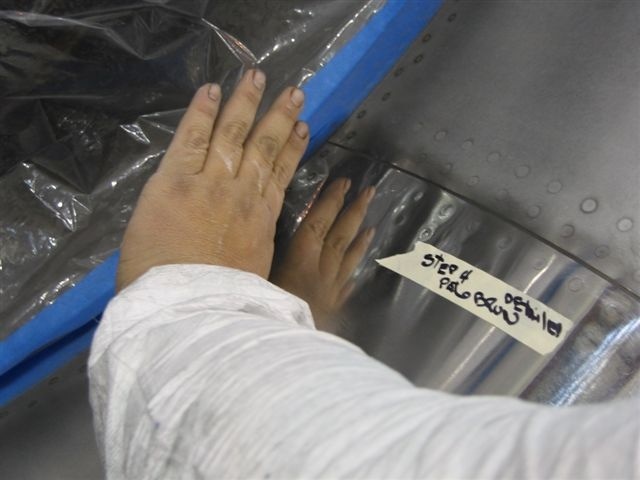 other than a certified mainenance engineer from an un-mentioned certified FBO was ask to repair some foreign object damage on the leading edge. The repair went from bad to worse. 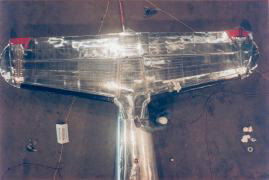 Contrail was called in to repair the repair. The pictures below tell the story. There are actually about 50 pictures from this particular job. What you see is the "readers digest version". If you would like to see some of the others, please contact me. You can get back to the SPEC Home page by clicking Here!